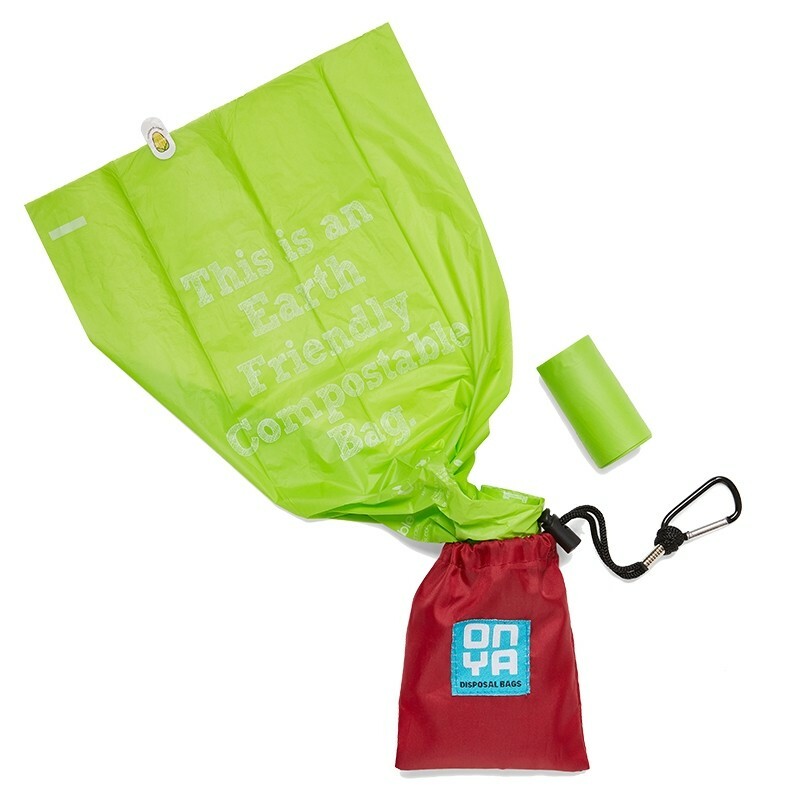 For everyone who is familiar with the reusable produce bags from Onya, here's the doggy do-do version. 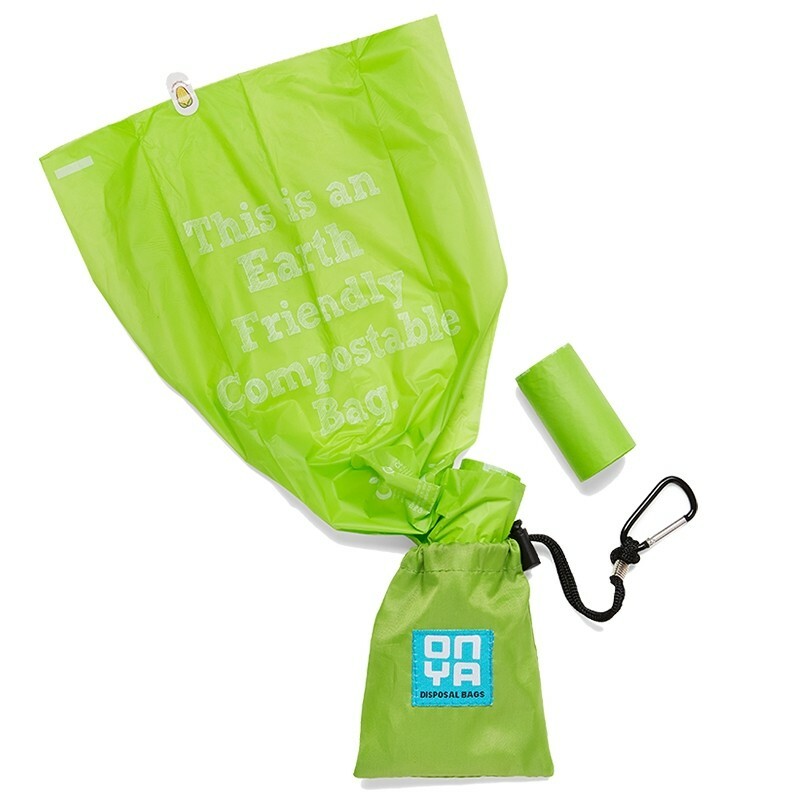 You have a small pouch made from recycled water bottles with a drawstring and toggle and a carabiner clip on the end. You can easily clip it to a lead or dog collar. The bag holds 30 bags with ample room to spare. 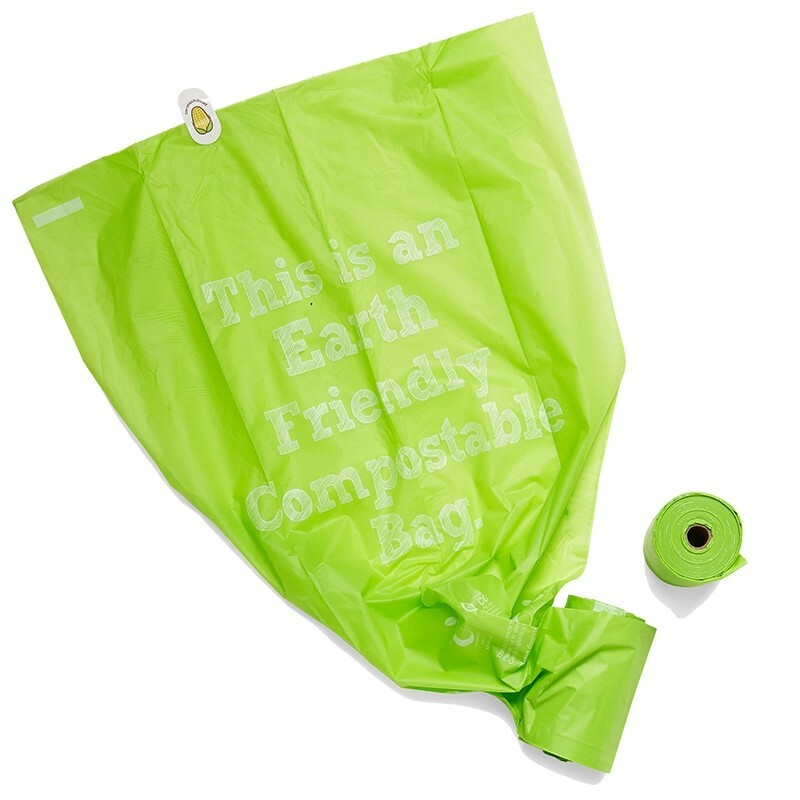 ABOUT THE BAGS - Made from 100% GMO free renewable plants, these certified compostable bags break down to virtually undetectable levels in the soil and are deeped to be "worm safe" with no plastic residues left behind. there's zero plastic additives, that means no polypropylene, no polyethylene, no polystyrene, no PVC. In hot compost they break down in around 12 weeks. or 6 to 12 months in home compost or waste facilities. Don't stockpile these at home. We turn over our stock quickly. It is best to use within 3-6 monhts of purchase and keep in a cool dark place until they are ready to use so they don't start to break down before you're ready to use them. Onya have been pioneers in the war on waste for a decade, making use of discarded PET water bottles to recycle in to useful and long lasting products. Their reusable produce bags sparked a revolution. The same rPET matierial is also used to make bread bags, bulk food bags and some very studry sandwich wraps to use in place of a lunch box. Pop them in to your insulated lunch bag and the sturdy velcro straps hold everything in place.